Heat oven to 375°F. 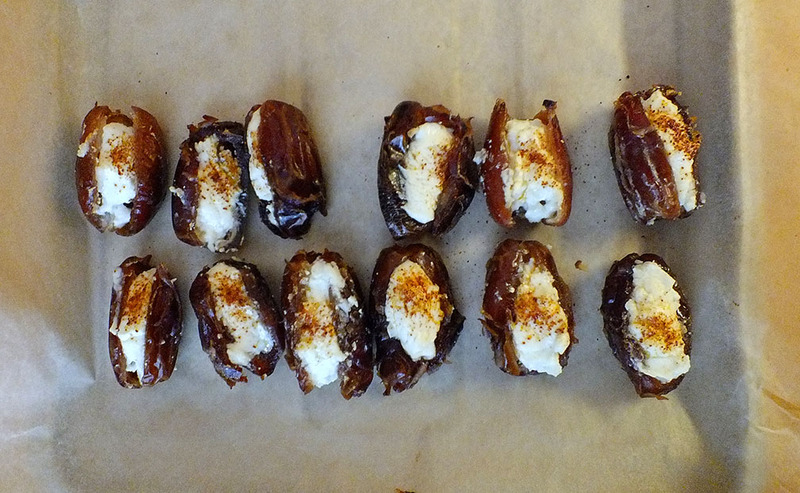 Stuff each date with 1/2 teaspoon goat cheese. Sprinkle a smidge of paprika on the cheese. Place on a cookie sheet, slit side up, and bake about 12 minutes, or until dates are hot and cheese is soft. Let stand a few minutes before serving.